McGinn took his encouragement from Bill McKibben, who, interestingly, got his first taste of the power of divestment protest more than 30 years ago. 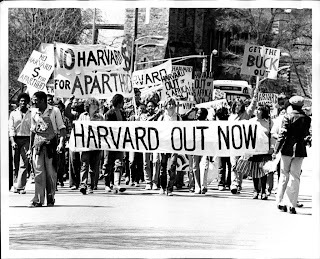 Pondering his choice of college, he visited the Harvard campus, and chose to enroll there after he saw the student-led protests against investment in apartheid South Africa. It was a lesson in the power of organizing social change McKibben apparently never forgot. 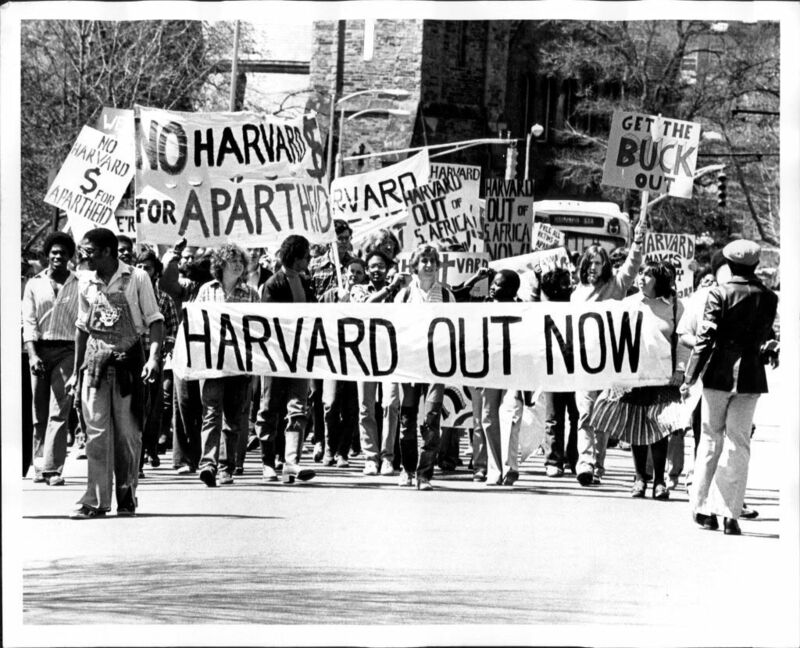 It's memorable for me as well—as a Harvard sophomore at the time, you can see me in some of the protest pictures, including the one above in this post. There is a clear economic argument for divestment. While fossil fuel companies do generate a return on our investment, Seattle will suffer greater economic and financial losses from the impact of unchecked climate change.